Chotta Bheem Do-it-Yourself - Fun Stencils is an amazing activity to draw and colour. 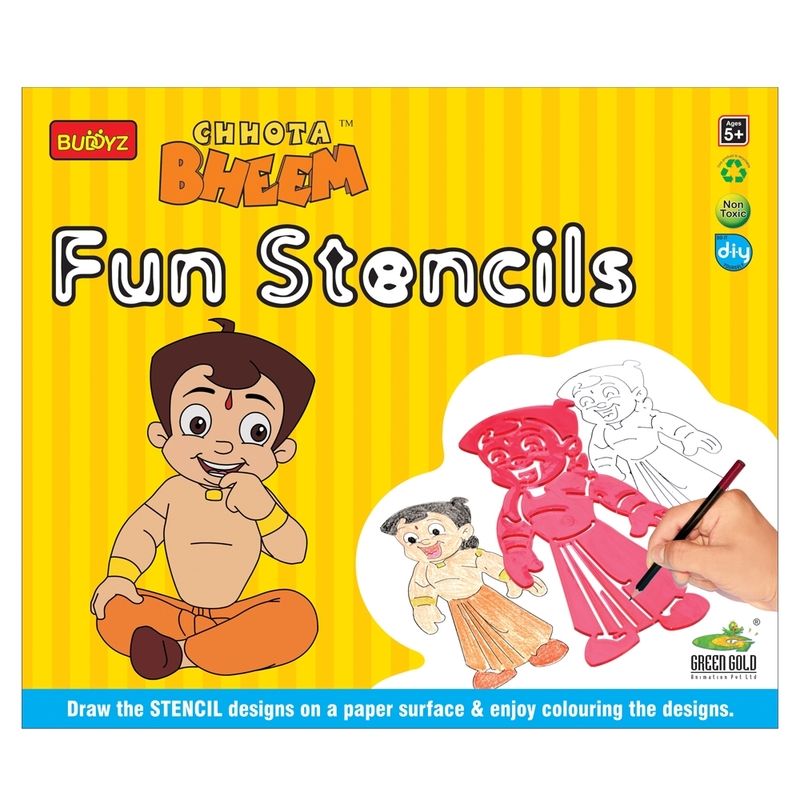 You can draw the 4 characters with the help of the given stencils & then have fun by coloring your sketches with the color crayons provided. You may use the stencils again & again & may also use other available colours & paints on your drawings.. Use your creation to adorn and ornament your home. Doing it yourself is lot of creative fun and great education too.